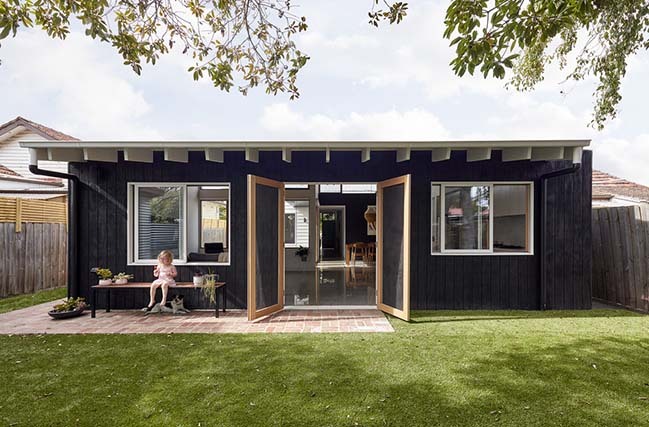 At Lean-2 Ben Callery Architects has put a new spin on the quirky and quaint elements of the typical lean-to, with a compact but spacious second lean-to on an existing house with a difficult orientation. 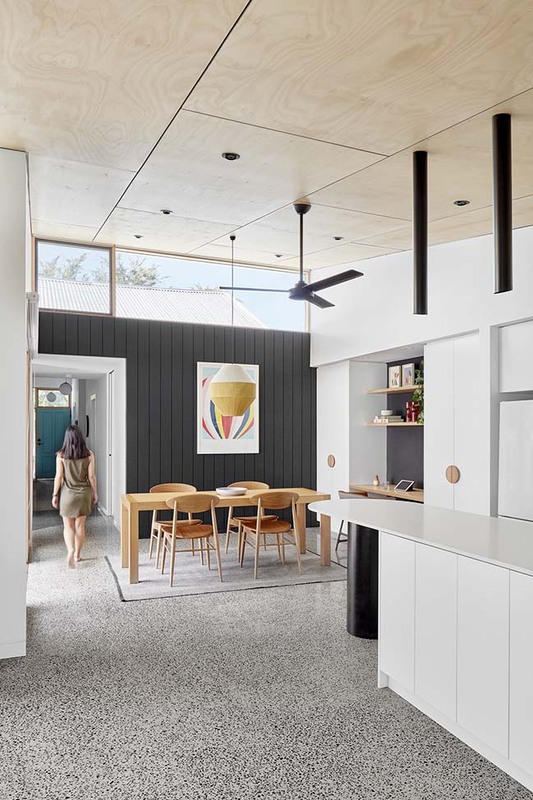 From the architect: In an age where social media emphasises image, encouraging consumption, size and excess this house celebrates modesty of scale and quality of space and simplicity of materials. 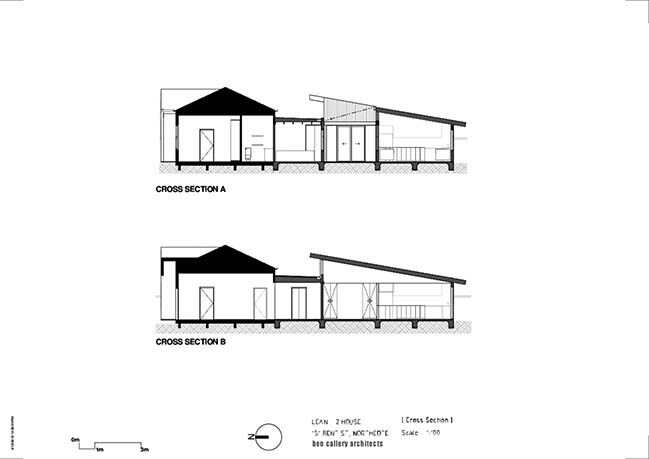 Three walls and a single pitched roof abutting a taller existing building as an appendix to the original. They often come in two’s or three’s they get progressively smaller like a row of babushka dolls. 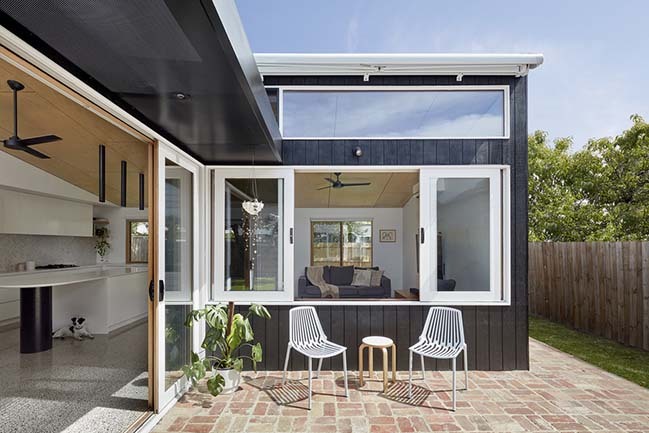 Despite their modest scale and tight spaces, they offer some positives that are worth re-interpreting: Once-external cladding becomes internal lining boards and previously external windows become internalised creating interesting views and connections between rooms. 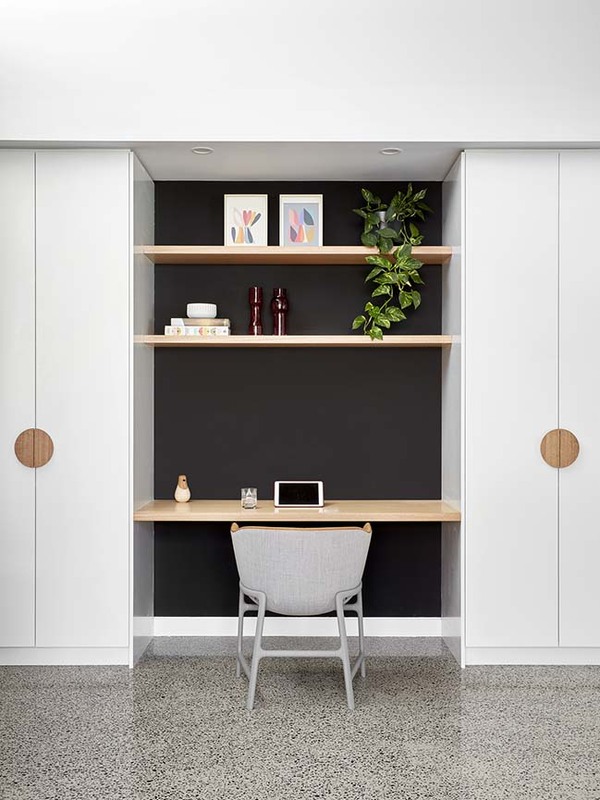 They are inherently low and compact, providing cosy intimate spaces within. Their visual bulk is diminutive, resulting in negligible overshadowing on its own backyard. 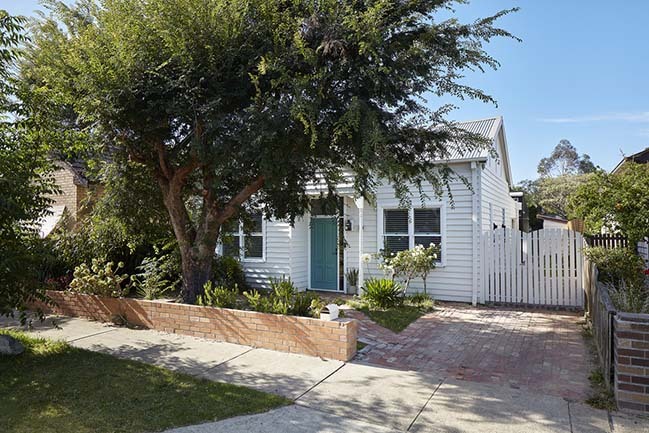 Our clients, a young family of four, needed more space for their family to grow. 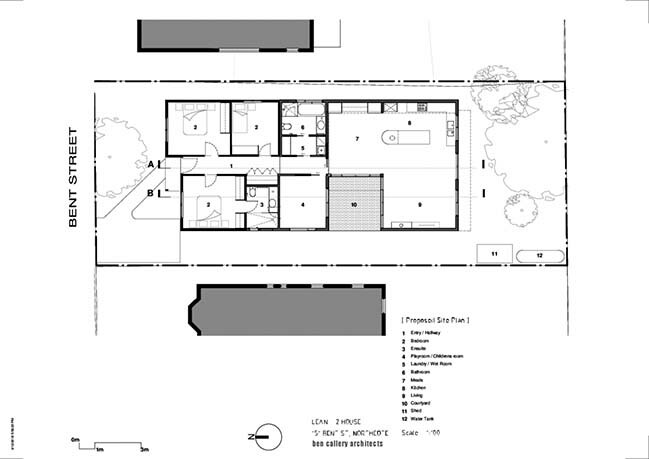 They wanted flexibility to allow the house to adapt to changing needs and to accommodate visiting family members. They wanted a degree of openness to facilitate connections between family members. 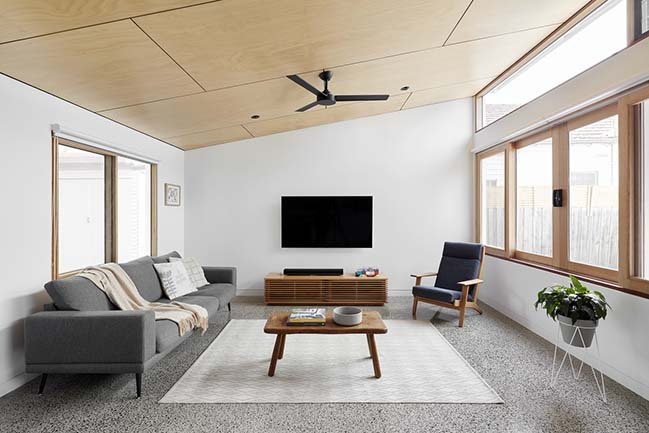 They sought greater connections with the elements, warming sun and cooling breezes, to create natural comfort and reduce their environmental footprint. 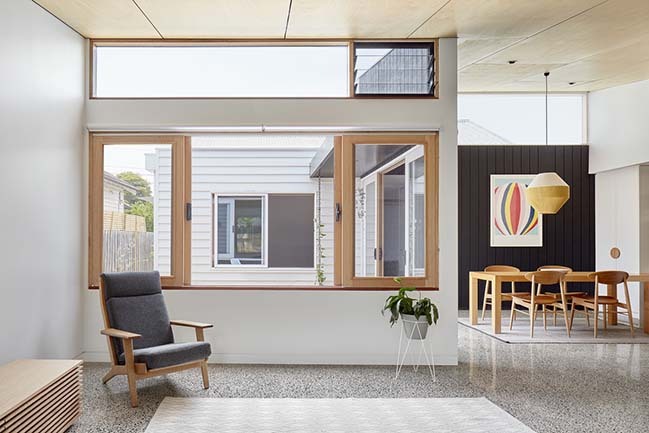 But the main challenge on their site was the orientation, north to front, making it difficult for the living rooms at the back of the house to engage with the sun. 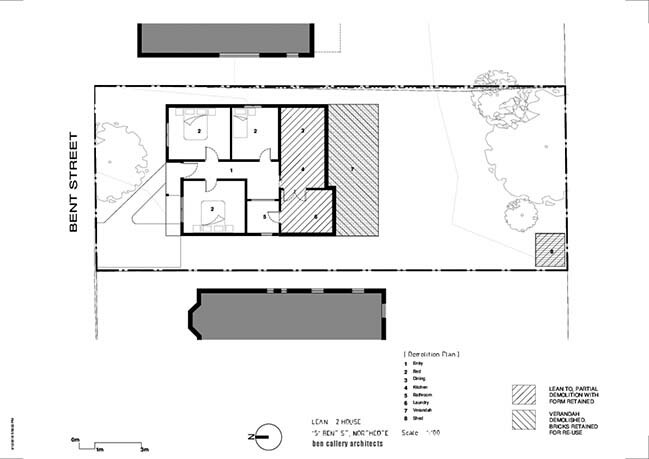 We inserted a north-west facing courtyard which is a compact but sunny occupiable outdoor space. It's operable folding arm awning allows it to adapt to all seasons. 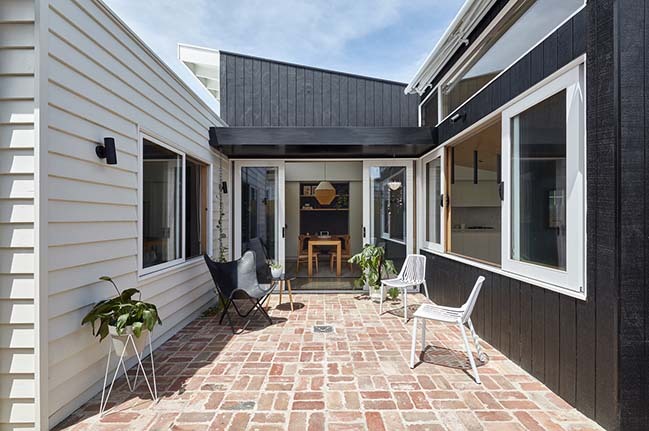 The courtyard facilitates cross views from the man living space into the flexible studio space across the courtyard. 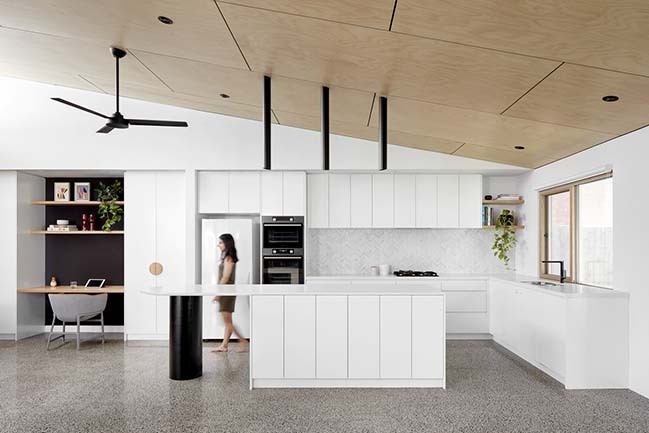 This replicates that sense of views through rooms typical of lean-tos but meets the contemporary need for passive interaction between occupants allowing them to supervise and be in contact while not necessarily in the same room.